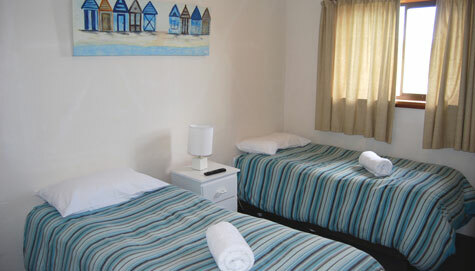 All family rooms feature a large queen size bed together with an ensuite bathroom with shower and vanity, hair dryer, iron and ironing board. 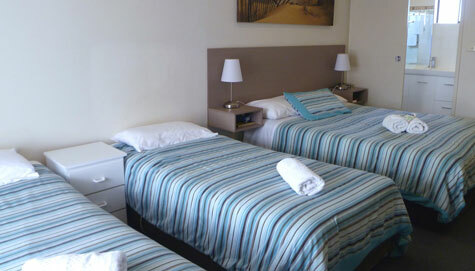 In addition to the queen bed, large family rooms offer two single beds or one single bed and one bunk. 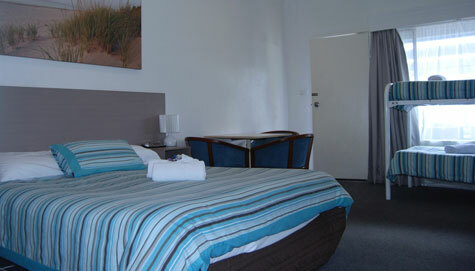 Two room suites provide a second bedroom with an additional TV. Reverse cycle airconditioning ensures your comfort all year round. You'll also enjoy Free Wi-Fi, a Flat Panel TV, DVD Player and Free Access to Netflix™. A seating area is provided and each room has a toaster and tea/coffee making facilities. You have easy access to the guest laundry, indoor heated pool and spa plus modern indoor BBQ kitchen with all facilities you'll need to cater for small or large groups. Room rate is based on 2 persons. 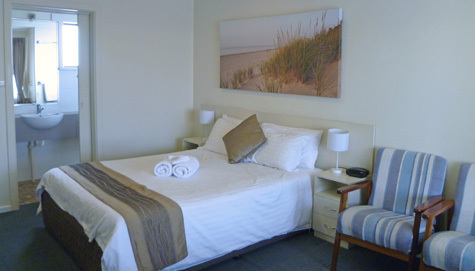 Maximum occupancy is 4, with 5 in our larger family rooms.